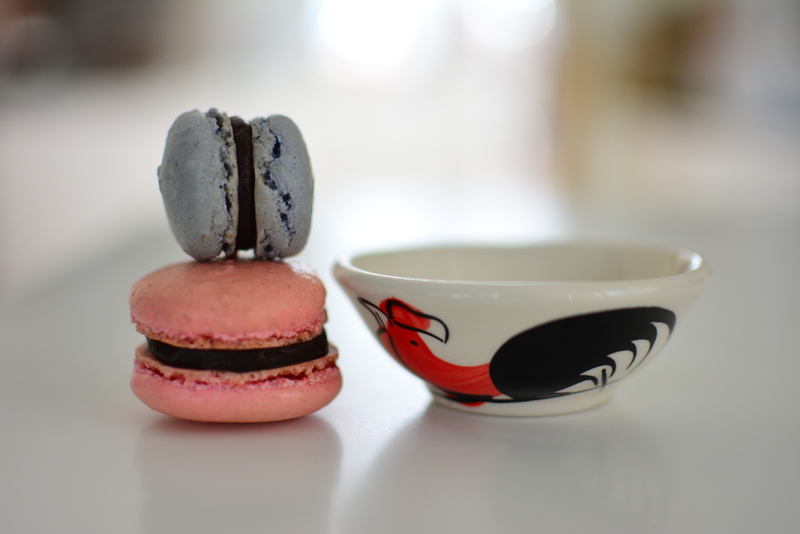 Having not been with my oven for a super long time (well I did come back & bake but yknow, not having it there all the time makes it different), I jumped at the opportunity to make my favourite challenging macarons for Mothers’ Day. 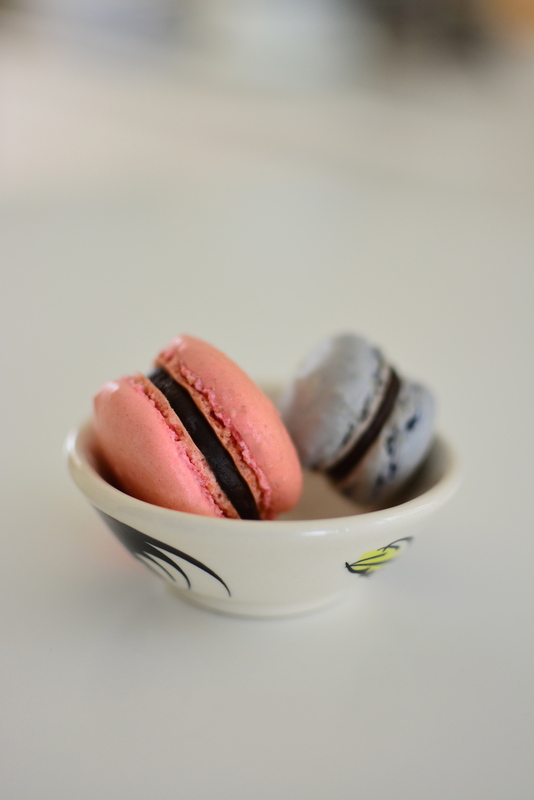 I decided to play it safe and go with the all-time favourite & simple to make macarons – Chocolate Macarons. I used a 70% Callebaut Chocolate for the ganache, rendering a really rich and flavourful ganache. 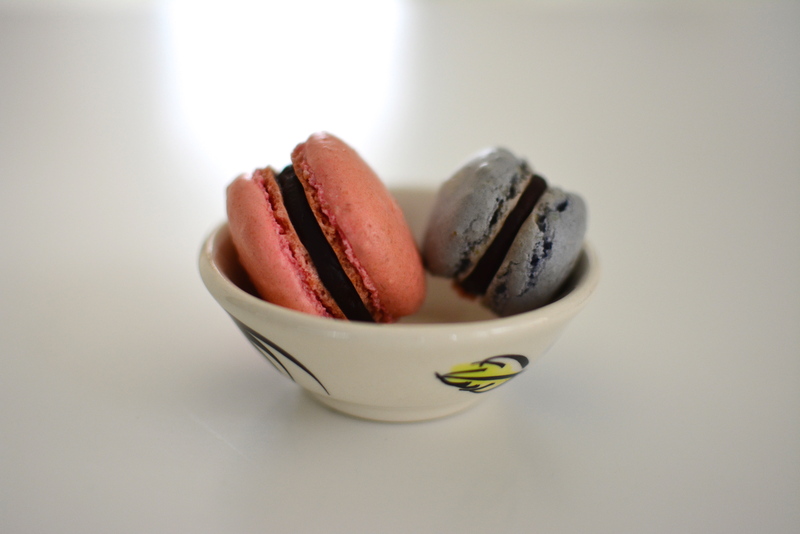 After not having made macarons for five-ish months, I was afraid that I wouldn’t be able to pull it off. 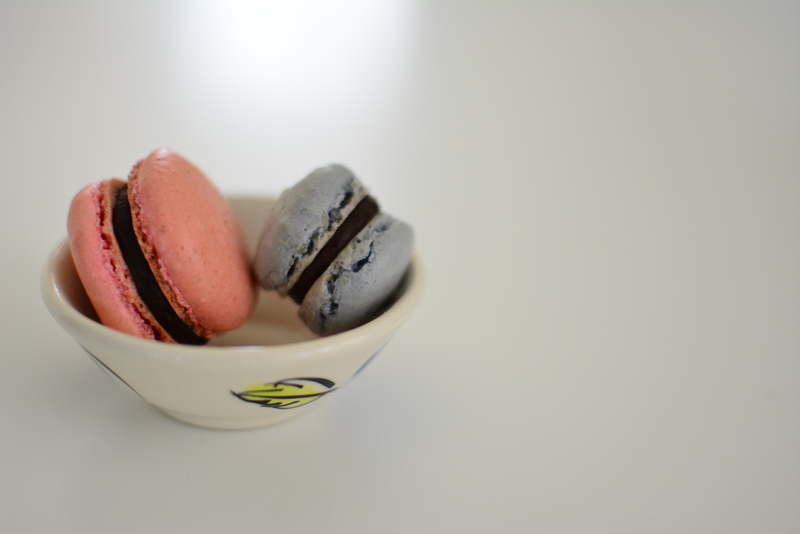 However, my macaron shell recipe did not fail me & the macarons turned out pretty good. The shells were chewy on the inside, there were feet on the outside and it tasted great. The only problem was that I was too lazy & didn’t sift the almond meal enough so the surface was kinda lumpy :S Also, some of the macarons had cracked feet – one of the nifty problems of macarons. My mom really liked these macarons – she was the one who requested for them to be in pink & purple. Yes, I know that the purple didn’t turn out purple! I’m still playing around and trying to figure out why the purple doesn’t stay purple when it goes into the oven. The next time, I’m going to lower the oven temperature and see how well it turns out. I’ll be away for about another 4 weeks and then starting my internship. Once I’m back for good though, I’ll definitely put in my best effort to update this space as much as I did before I left for my exchange.